Stalling growth is technically no longer Snapchat’s biggest problem. Instead, Snap shared worse news with the world today in its latest earnings report: For the first time, it’s shrinking. 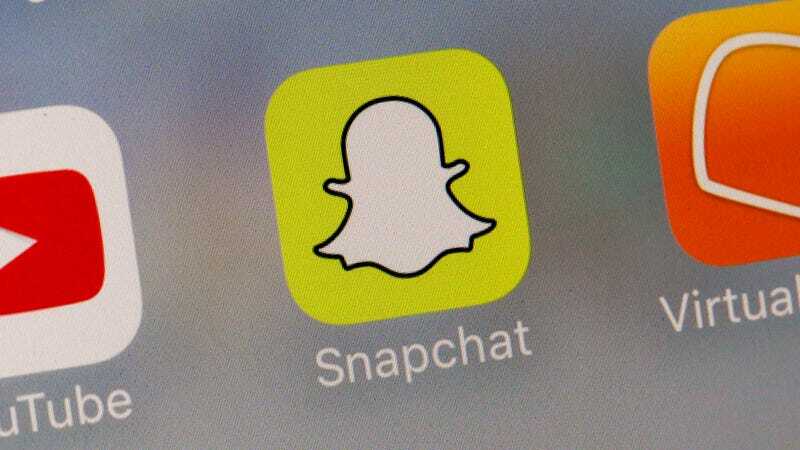 Snapchat says it lost 3 million daily users by the end of June, after peaking at 191 million daily users earlier this year. According to Snap CEO Evan Spiegel, the app’s “Monthly Active Users continued to grow” in the last quarter, but don’t let that distract you. That monthly figure could matter someday if Snap ever gets around to actually sharing how many monthly users it has. Until then, we can only assume the number’s secret because it’s no good. The industry’s expectations for Snap weren’t sky-high to begin with this quarter, but the company shared in its earnings report today that it both made more money (revenue) and lost less money (losses) than analysts expected. Snap still isn’t profitable, and that wouldn’t necessarily be so bad if the company could get its daily active user number to go up like it used to. Snapchat now has 188 million daily users, and in isolation, that may seem like a nice, big number. If you compare Snapchat’s recent growth numbers with Facebook and Instagram’s unimaginative clones (which have defied expectations since 2016), things look worse. Through that lens, Snapchat’s daily user stat—and ultimately, its relevance—seem ripe for a nosedive.